Born in Sweden, Elsa Gullberg started using a loom at home during her childhood. 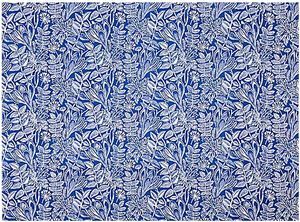 After sudying art and design in Stockolm in the early 20th century, she began designing fabric both for craftspeople and for the industry. She was deeply influenced by the rationalism movement and the Deutscher Verbunk.. 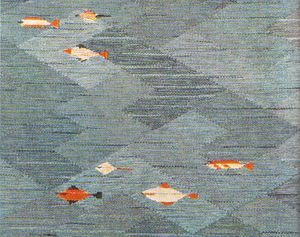 In 1927 she created her own company "Elsa Gullberg Textilier" and she specialized in the design of carpet and wall hangings. In 1955 her daughter, Elsa-Maria, took over her company. 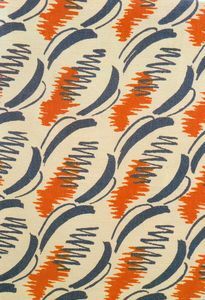 Elsa Gullberg was one of the first textile designers to focus on the industrial constraints in textile fabrication.